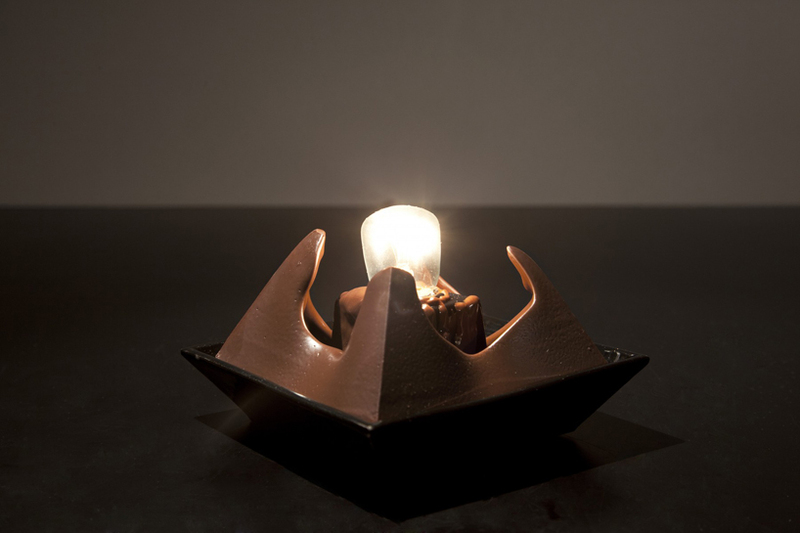 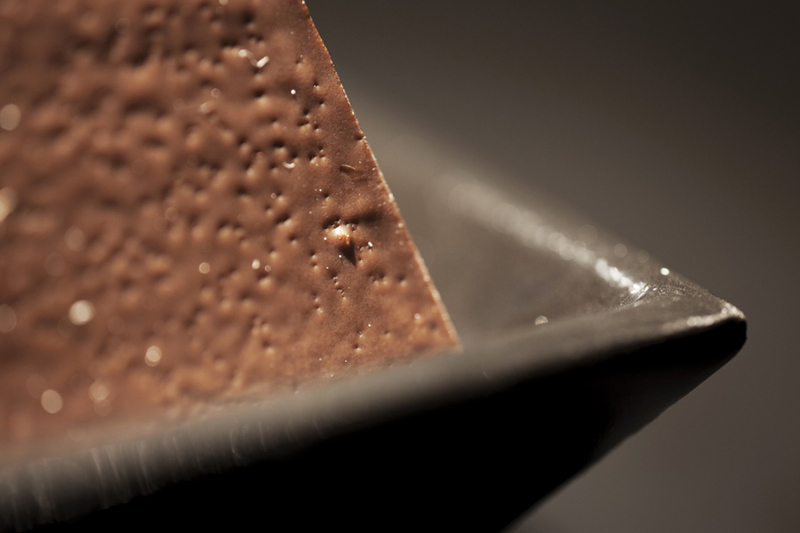 through delicious means, swedish designer alexander lervik, has created ‘lumière au chocolate’ – being presented at the stockholm furniture fair 2013and produced by scandinavian LED specialists SAAS instruments. 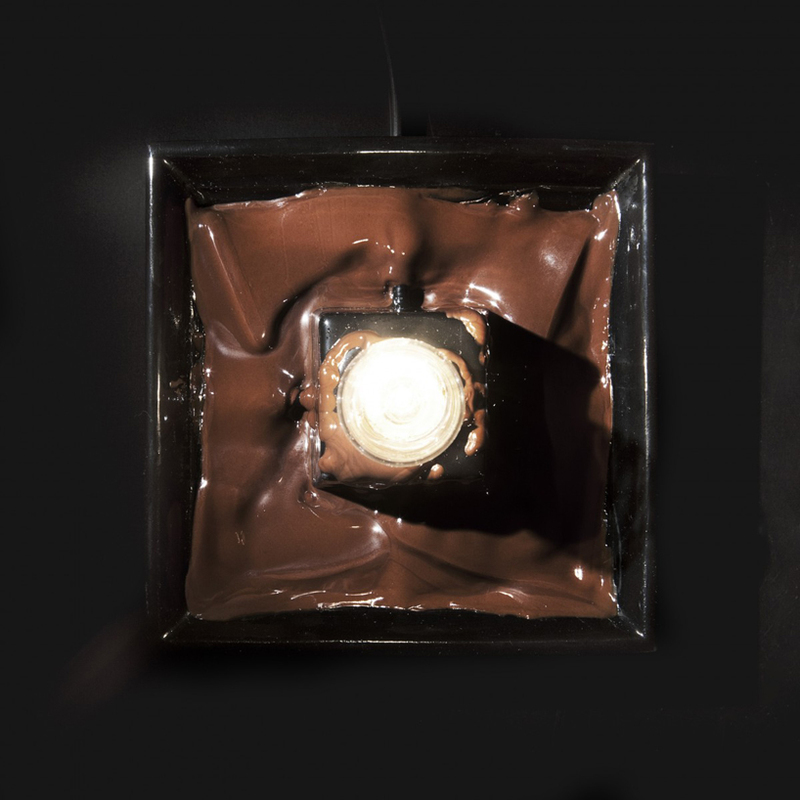 through the warmth of the bulb, the chocolate casing slowly melts as the heat penetrates and thaws the toothsome material. 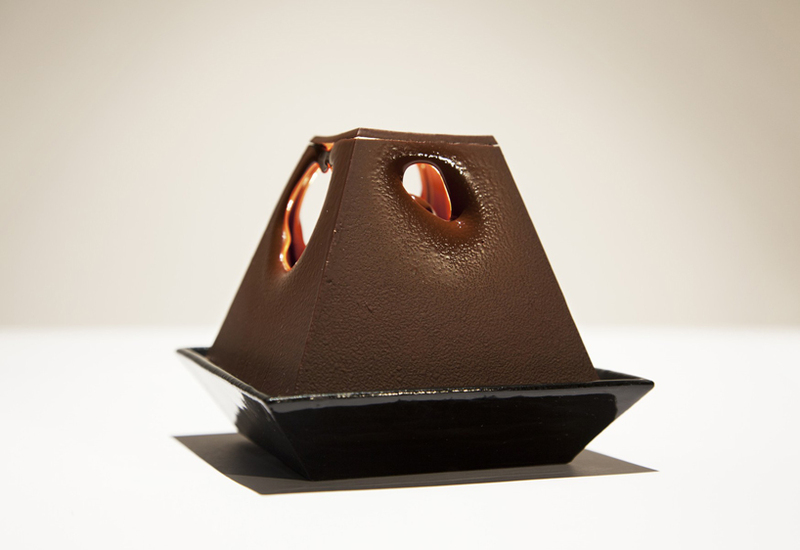 holes slowly develop, giving way to the glow of the light – inciting a sense of curiosity and, of course, hunger. 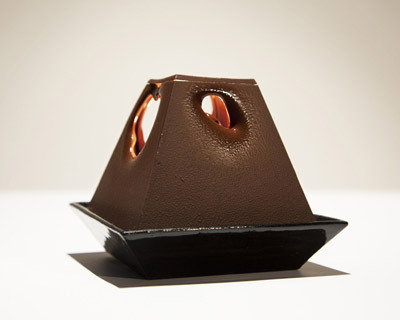 the form of the design was based on extensive testing involving the melting process to achieve an outcome where after roughly 15 minutes the chocolate melts down and then solidifies into chunks. 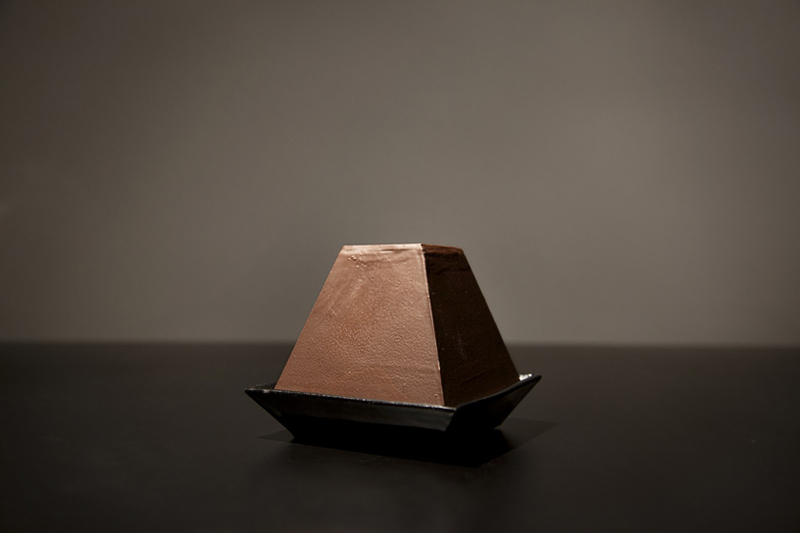 ‘the lamp was initially cube-shaped, but once we determined how chocolate melts together we modified the shape to resemble a cut-off pyramid,I find it poetic, with complete darkness at first and then a tiny ray of light penetrates the dark chocolate‘.